Today it is very easy to track the mail delivery status and other activity. E-mail tracking is very helpful to know that mail has been delivered to the right address or not. Now, let's start to know who is tracking your E-mail and how to disable it intently. There are two types of E-mail tracking. First tracking software attaches an invisible image and that can be tracked. The second user receives a link to e-mail content and that reflect if they click on this link. To know the information about e-mail, you will be connected the tracking software with the server. But link will automatically start the work. Search The Outside Image - Most of the e-mail service provider does not show the outside image like Google, Yahoo, G-mail, outlook. Your mail provider requests you to open the attached outsider image. Now it is upon you that you can decline this request and disable Email tracking. Don’t click on every link of your mail. Avoid opening the unrealistic, Unknown link. Because they will not take the time to hack or steal your data. If you have no objection that sender will know, you are tracking his mail. Then you can click on it. Some server sends the E-mail through tracker e-mail. If you want to know about the mail tracking then track E-mail service with an option for the original message. To find the address of original message press ctrl+F and type.COM. Now every email address or website name will be in front of you. 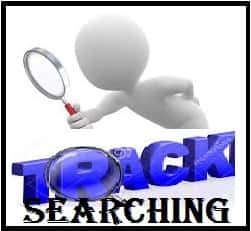 If you are in suspicion then search online to see that the sender is connected with tracking service or not.